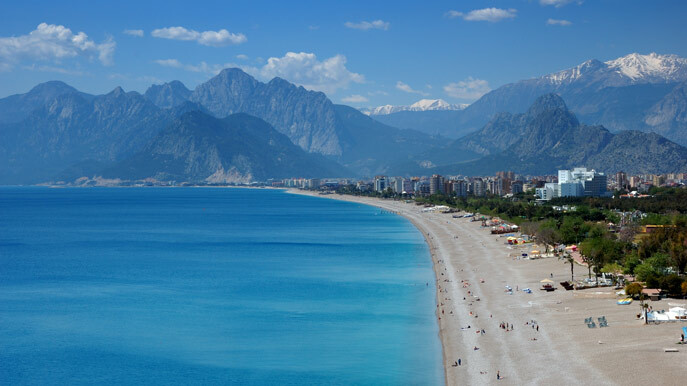 Search for the best flight prices from East Midlands to Antalya. Compare prices, book today and save money with East Midlands Airport. This booming clifftop resort town on the South-Western Turkish coast keeps its good looks and fine weather well into October. It’s even said that the original Saint Nicholas – aka Santa Claus – was from around here. That comes as no surprise from an ancient city steeped in history, courtesy of its Lycian, Pamphylian, Hellenistic, Roman, Byzantine, Seljuk and Ottoman influences. For a lesson in ancient civilisation, just take your pick.